Marketplace Split Order is an add-on of Multi-Vendor Marketplace. By the help of this add-on, separate order ids will be generated at the back-end if there are multiple seller products in the shopping cart. The customer will also receive different order ids. 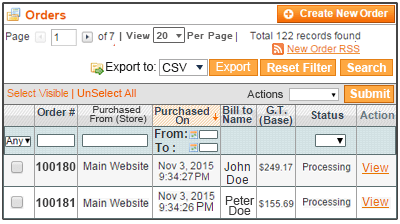 Admin can generate separate invoice and shipment for each order id for different sellers. Marketplace Split Order for Magento2 is also available. Marketplace Split Order for magento is an add-on of Multi-Vendor Marketplace . By the help of this add-on, separate order ids will be generated at the back-end if there are multiple seller products in the shopping cart. The customer will also receive different order ids. Admin can generate separate invoice and shipment for each order id for different sellers. Note - This module is an add-on of magento Marketplace Multi Vendor Module . To use this module you must have installed webkul's Magento Marketplace Multi Vendor Module first. Marketplace Split Order will work with the default payment methods as well. In the case of any 3rd party payment module, it may need some customization if the third party payment module code does not follow the default Payment module pattern. Separate order ids will be generated at the back-end if there are multiple seller’s products in the shopping cart. Admin will be able to generate separate invoice and shipment for each order id for different sellers. The customer will receive different order ids if they have purchased multiple seller products. Order Management from the admin’s end will be very easy. The codes are open source so it can be customized easily. After installing and enabling this module, customer will receive different order ids as per the sellers whose products they have purchased from the Marketplace. With different order ids, customer can view all the order ids in the Order History. 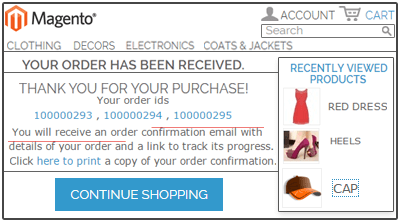 When this module is installed then separate order ids are created at the back-end for each seller's product(s). This helps the admin to manage the shipment, invoice very easily for each seller. In the Order Grid, admin can individually complete the order for any seller and if there is any chances of fraud then the admin can cancel the that particular order also. 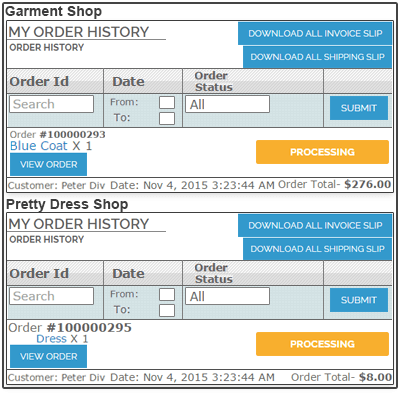 Admin can generate separate invoice and shipment for each order id for different sellers. In the Order Grid, admin can view separate order ids for each sellers. After installing this module, seller will also view the order id generated for their products only. They can know when the shipment and invoice is generated and can see the status of the order id as well. Seller can view the order id for their products only. It also helps in the better management of the order. Did you buy Marketplace Split Order for Magento? We have been working with Webkul since an year now, and its been a great experience.